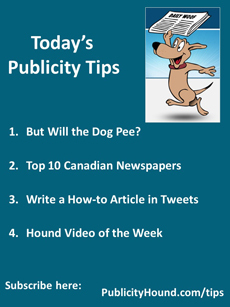 Publicity Hound–But Will the Dog Pee? But Will the Dog Pee? I’m at a family reunion with my sisters and brother this weekend, vying for the 500 Rummy crown. I’m making two Door County Cherry Pies and two Tomato Pies with Basil and Pesto. Both are family favorites. Oink. 1. But Will the Dog Pee? If you want to get onto the TV news, or onto a TV talk show, think of opportunities to take your dog onto the set or have it with you when the cameras come to you. Many TV producers love it when news sources use pets as props. That’s because viewers love them! I can’t be the only one who sits there wondering if the animal will start to pee on camera. –More dogs are showing up on commercial airlines than ever before. If you’re a travel or safety expert, pitch a segment on how to handle your dog on an airplane. Or explain what flyers should do if they’re afraid of dogs and seated across from one on the plane. –Think hot weather. The searing sun and scorching heat can burn paws. And the little guys need lots of extra water. Veterinarians, pet store owners and others who sell pet products or services can demonstrate ways to keep animals cool. –Pets are some of the best stress-reducers. If you’re a coach who teaches clients ways to relieve stress, that ball of fur sitting at your feet can be your prop. –Dogs and cats know when their owners are sad and grieving. My dog used to lick my tears. Divorce experts, grief counselors, and therapists can offer tips on how to rely on our pets during those rocky times in life. To do: Regardless of your occupation, think of ways to incorporate a pet angle into your story. 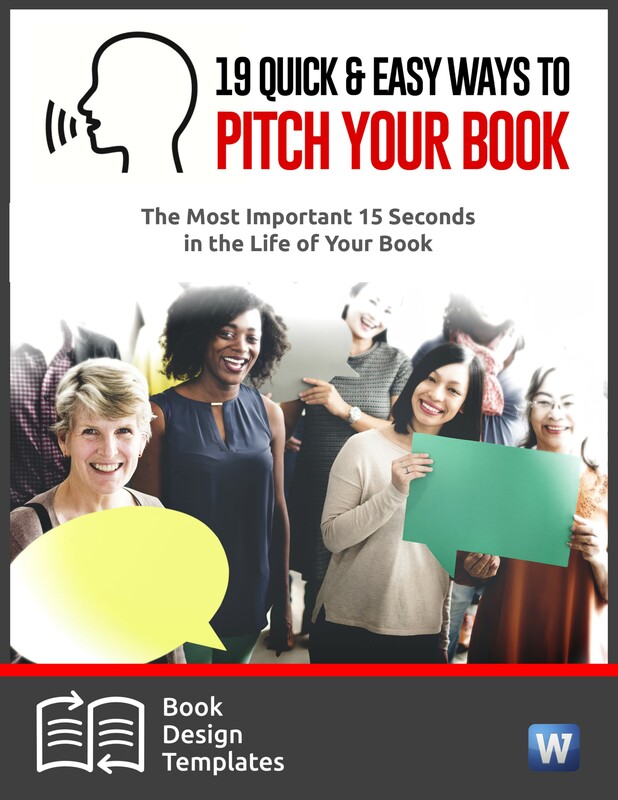 Then grab the transcript of my interview with former TV producer Shawne Duperon on “How to Get on the Local TV News Tomorrow.” Shawne walks you step-by-step through the process of pitching stories to TV newsrooms. 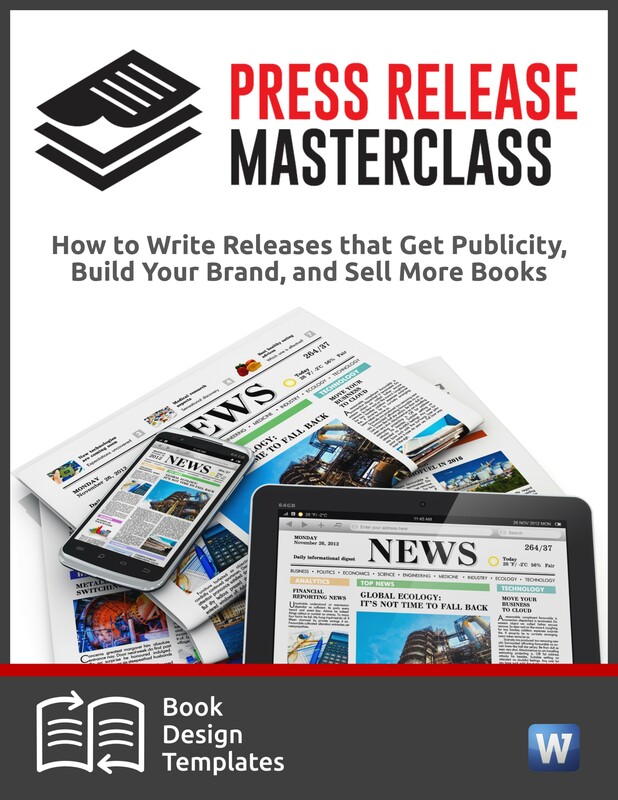 Using her tips, Tom Graber of Milwaukee got three media hits in two days. Knock $19.98 off the price of the electronic transcript by using the coupon code TVNEWS at checkout. Order here. Everything in the 2014 update still applies today. If you want to pitch newspapers in Canada, Andrew Mercier has done a lot of your research for you. 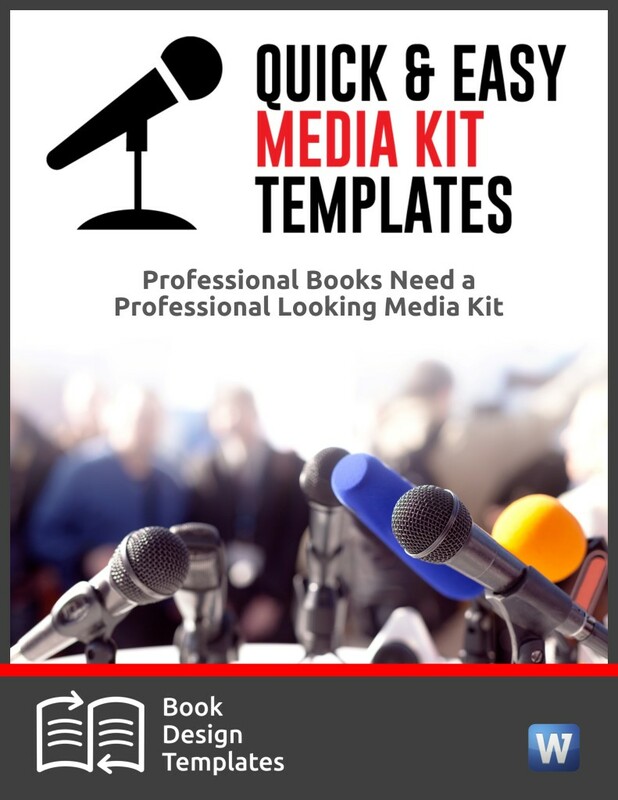 He’s a self-described information addict and news junkie who compiles helpful lists of location and niche-based media outlets for the Muck Rack blog. His newest is a list of the Top 10 Canadian newspapers, from giant dailies to French-language newspapers. Each links to the newspaper’s website where you can find more information. To do: See his list here. You have a few quick tips for your followers. But you’re pressed for time. 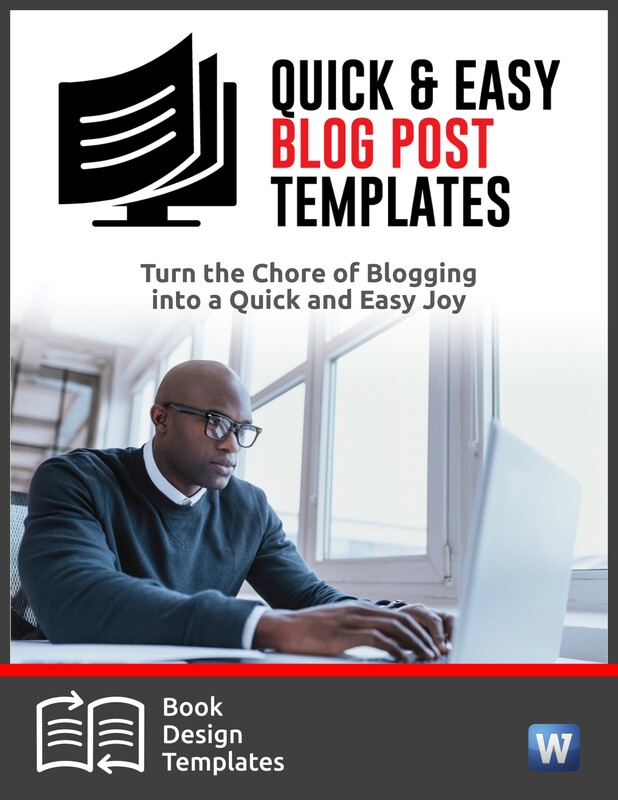 Instead of talking yourself out of writing a blog post, do what Kevin Williams does. He’s the visual and arts editor at The Chicago Tribune. He wrote a series of tweets that, when read from top to bottom, sound like a short article. The first tweet, the one you see above, introduces the topic. He follows with eight tips, each written as a tweet within the 280-character limit. I love this because they’re so easy for readers to read and so fast for him to write. To do: See his entire thread here. Then borrow this idea. Try it now. 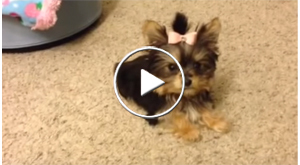 Misa Minnie, this little Yorkie puppy, only 18 weeks old, will do anything for a treat. She even knows how to pray. I love the pink bow. Precious.